Tufted Puffins are one of the birds I have wanted to see and photograph in the wild. You can find them off the coast of Washington not too far from where I live but have to take a boat trip to find them. So I was excited to find that they breed on Haystack Rock just off the beach in Cannon Beach, Oregon, where I was recently headed for a long weekend. 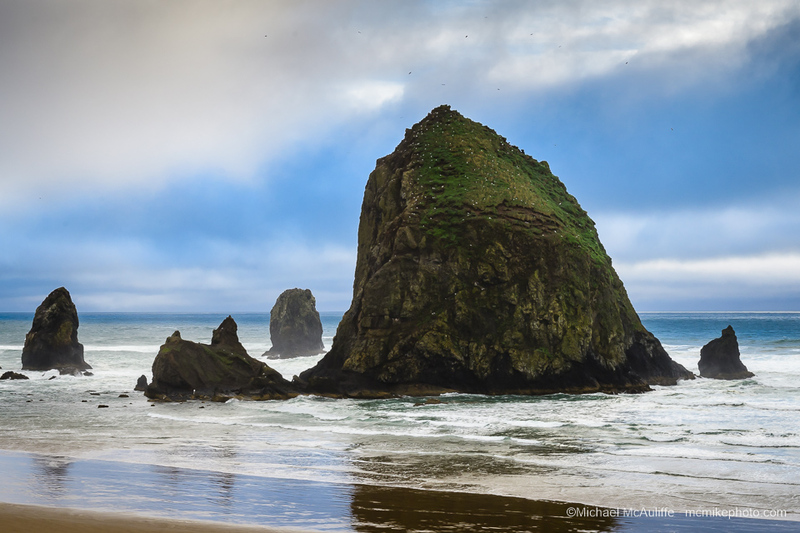 The photo above is of Haystack Rock, a 200+ foot high sea stack in Cannon Beach, Oregon. 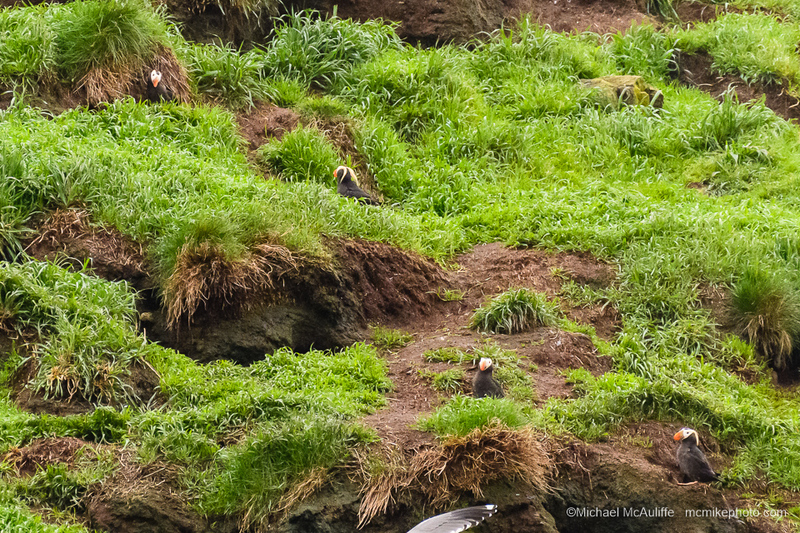 Every year in April, Tufted Puffins return to breed on the grassy cliffs at the top of the rock. Unfortunately, even at low tide when you can walk out to the base of the rock, the Puffins are still a long way away. Even with a 500 mm telephoto lens it was impossible to get closeup photos (see the first photo in the post) of the Puffins, but it was still a thrill to see them in the wild. Next time I visit Cannon Beach I’m going to have to rent a longer lens so I can get some closer shots! 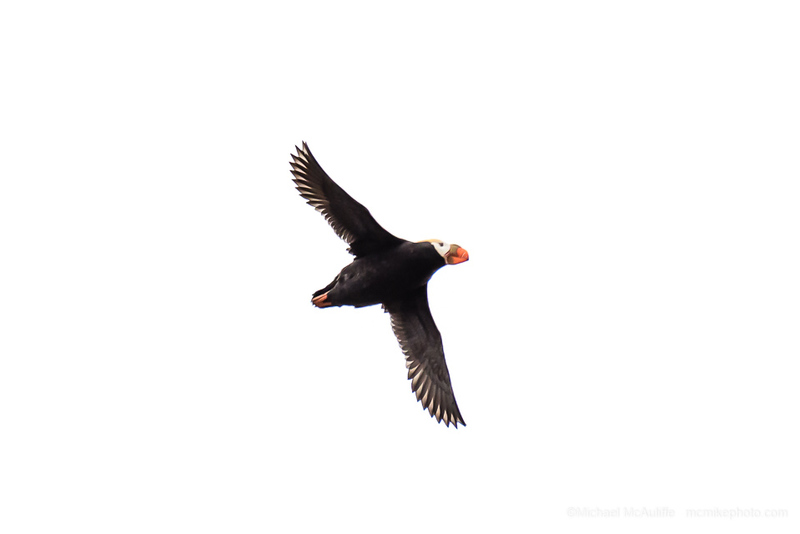 This entry was posted in Cannon Beach, Tufted Puffin and tagged Bird Photography, Bird Photos, Cannon Beach, Haystack Rock, Tufted Puffin.